“Had you asked me as an Amgen Scholar looking forward at my career, I couldn’t have foreseen all the things that I would work on,” says Dana Levine, who is now a postdoctoral fellow at Caltech where she is developing drug-loaded nanoparticles for treatment of intracranial cancers such as glioblastoma and metastatic breast cancer. Although she has taken an academic path, it has been anything but traditional – as she has moved between various disciplines to create research that combines her passions, working where she will have the biggest impact. As an undergraduate student at Caltech, Levine conducted research at the NASA Jet Propulsion Laboratory where she designed luminescent lanthanide sensors for detection of bacterial endospores, which are among the most resilient forms of life on Earth. The Amgen Scholars Program gave her the opportunity to continue her work in the labs of Adrian Ponce at JPL and Harry Gray at Caltech. 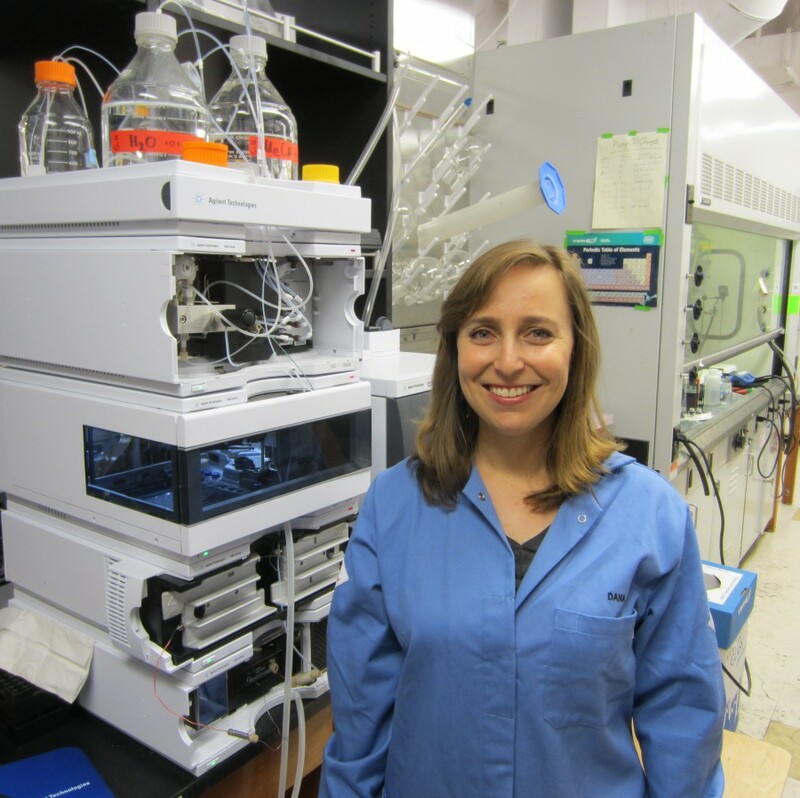 From that point forward, Levine knew that she would focus on using chemistry to tackle challenges in medicine. Her journey would take an unusual path – from fieldwork in the Atacama Desert of Chile (an Earth analog for the Martian surface), to bioinorganic chemistry research in the Bay Area, and back to Caltech to develop nanomaterials for drug delivery. During her Ph.D., Levine collaborated with Nobel Prize-winning neurologist Stanley Prusiner (UCSF) on work to purify the infectious prion protein, which may aid in the development of diagnostic tests for neurodegenerative diseases. Levine also initiated a new project where she developed metal-organic materials for drug-delivery applications. Levine is now a postdoc in the lab of Mark Davis at Caltech, using engineering strategies to “design nanoparticles that will target sites of disease and provide localized therapy,” she says. In addition to her research, Levine is also actively involved with the California Alliance for Graduate Education and the Professoriate (AGEP) program. An NSF-funded coalition of four universities in California, AGEP is designed to encourage underrepresented minorities to pursue research-oriented careers through workshops and professional development opportunities. Herself Mexican, Levine learned that AGEP was offering a postdoc fellowship and eagerly applied. She has been enjoying getting to know the other fellows in her cohort at Caltech, and she has also helped organize events as part of the Diversity in Chemistry Initiative on campus. “Every time we advance in our careers from one level to the next, there are new challenges and new ways we have to think about our research and our role in the scientific community,” Levine says. “And preparing for that next step can be daunting for anyone, but I think for underrepresented scientists, it can be harder to see ourselves at the next step.” That challenge stems from a historical lack of minorities in similar positions. She says that sharing experiences and hearing from mentors and colleagues in the field is extremely valuable.